Amplifikatörler 3 adet ürün var. R500X1D 500 Watt Class-D Mono Amplifier The Prime R500X1D is a 500 watt mono amplifier using efficient Class-D circuit topology. 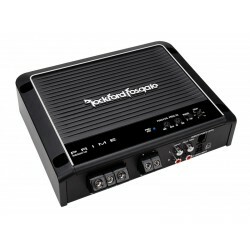 This amplifier is capable of running a 2-Ohm load and includes on-board Punch Bass and remote Punch Level Control. R300X4 Prime 300 Watt 4-Channel Amplifier The PRIME R300X4 is a versatile 4-channel amplifier capable of running your entire system. The R300X4 is great for full-range or component speakers on the front channels with subwoofers on the rear running in bridged/mono mode. 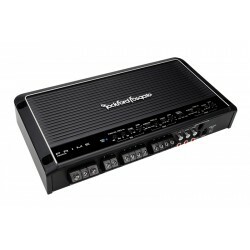 R600X5 600 Watt 5-Channel Amplifier The PRIME R600X5 is a 5-channel amplifier designed to run an entire car audio system! The R600X5 produces up to 75 Watts into each of its four channels with a dedicated subwoofer channel capable of producing 300 Watts into 2-Ohms.